This wine has a deep ruby red color. At nose it is intense, fresh, clean and elegant. 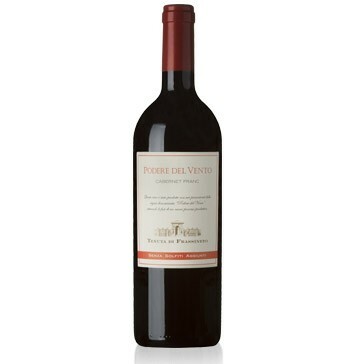 It shows pleasant fruity notes of red-fleshed fruit, such as cherries and berries, floral notes like rose and iris and light vegetal scents. It has a good structure and good alcohol content. The taste is round with the right balance between the various elements. Soft with good tannins and persistence. The Tenuta di Frassineto is in the middle of the Val di Chiana. The company philosophy is geared exclusively towards quality, adjusting from year to year, the grape production per plant through thinning of the shoots during the spring and grapes close to the harvest. The winery Tenuta di Frassineto is equipped with the latest equipment to enhance the varietal aromatic potential that these grapes have. The complex for its architectural features, its history and its geographical position, is a particularly important example from the point of view of agriculture, historical and artistic. Of the total 500 hectares, the company has identified 30 to plant their vineyards. The choice of variety to be plant has emerged after years of careful study of the climatic characteristics of the territory. It goes well with all the first courses, and with second courses based on roasted or grilled red meats. It is excellent also with long aged cheeses. Serve the wine at 18° centigrade in a smooth non-colored, transparent crystal goblet. This wine is destined for a long and fascinating evolution. The bottles should be place horizontally in a cool and dark cellar. A fine article by Christian Benna titled "UNIVERSO DIvino" (Divine Universe) quotes Wineshop.it highlighting the new trend of online shopping. Click here to view the article.